Dungeon Siege III (Microsoft Xbox 360, 2011) New ! 17 product ratings - Dungeon Siege III (Microsoft Xbox 360, 2011) New ! 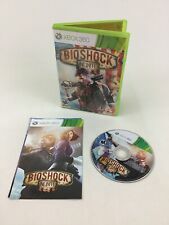 BioShock (Microsoft Xbox 360, 2007) Platinum Hits New ! 339 product ratings - BioShock (Microsoft Xbox 360, 2007) Platinum Hits New ! Trending at $22.33Trending price is based on prices over last 90 days. Trending at $29.94Trending price is based on prices over last 90 days. Fable III (Microsoft Xbox 360, 2010) New ! 300 product ratings - Fable III (Microsoft Xbox 360, 2010) New ! Trending at $11.52Trending price is based on prices over last 90 days. Assassin's Creed III (Microsoft Xbox 360, 2012) New Sealed Game Stop Version ! 165 product ratings - Assassin's Creed III (Microsoft Xbox 360, 2012) New Sealed Game Stop Version ! 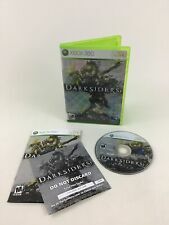 Conflict: Denied Ops Game for Microsoft Xbox 360 PAL in box with manual! Trending at $17.63Trending price is based on prices over last 90 days. New (Other) · Microsoft Xbox 360 · Kinect Adventures!